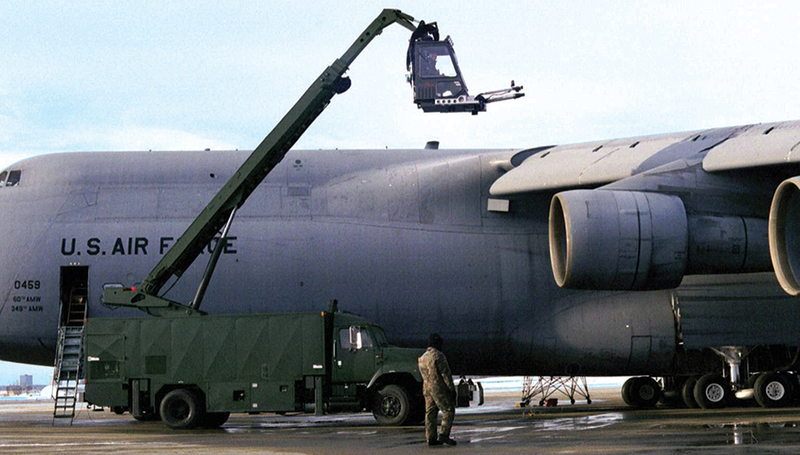 Inovair blower models have been utilized in commercial and military forced air deicing for over 20 years, and Inovair is the leading manufacturer of blowers utilized in forced air deicing applications. Inovair deicing blowers are proven to meet the extreme demands of the forced-air deicing market, and Inovair also offers the most variety of models and features for its customers. With a robust, compact, and efficient design, Inovair’s patented gearbox with self-contained oiling and a high step-up-ratio minimizes additional components such as oil tanks, pumps, filters and secondary gearboxes. In addition to featuring a patented self-contained oiling design (patent #’s 6516789, 6439208), all models also feature a patented gearcase design (#’s 6478469, 6612747) incorporating a unique “bearing within bearing” design for durability and longevity. An optional Helical Gearset is also available for reduced noise levels. 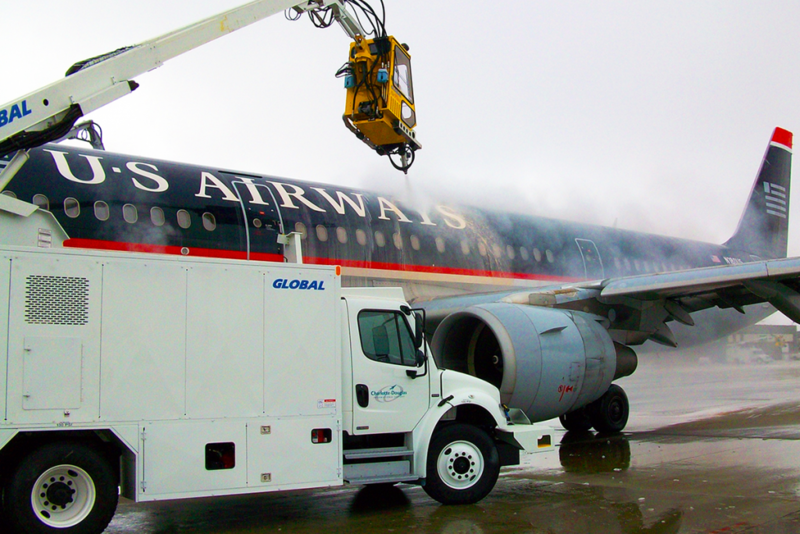 This example of an aircraft deicing application forces pressurized air through a patented rubber nozzle and moves approximately 1,300 cfm at over 700 mph. 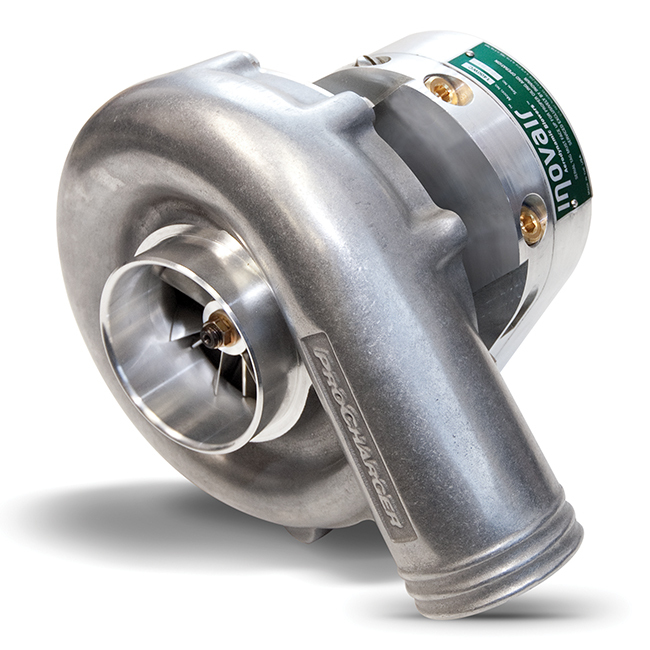 Impeller speeds exceed 40,000 rpm in intermittent duty usage. The air stream is so powerful that it literally “lifts” snow and ice from the exposed surfaces. This results in faster deicing of aircraft, and reduces consumption of deicing fluid by nearly 80%. This reduction in the use of deicing fluid (glycol) delivers a significant reduction in operating cost and major environmental benefits. Glycol usage is regulated by the EPA, and has mandatory and expensive remediation requirements. End users include the US Air Force, Royal Canadian Air Force, commercial airlines and cargo airlines. Inovair is the worldwide leader in this segment since 1999 and has become the preferred supplier for all domestic manufacturers of forced air deicing equipment.